095, Law enforcement officers, Oswego. T. R. Clinefelter; Oswego Ore; 16/20 CR. ; 198; 9th Marshal 1930-1936; 1 bock W and 1 block N of Hol [illegible]; about 1907; [stamp]: The Boston Studio, 185 1/2 Morrison St. Portland Oregon. Description Scanned as B & W. Mounted on embossed board. Photos 116a, 116b, and 116c are cropped enlargements. Transcription 095, Law enforcement officers, Oswego. 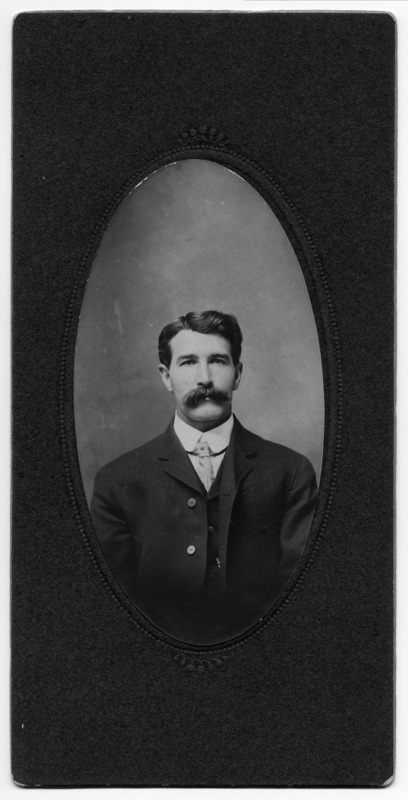 T. R. Clinefelter; Oswego Ore; 16/20 CR. ; 198; 9th Marshal 1930-1936; 1 bock W and 1 block N of Hol [illegible]; about 1907; [stamp]: The Boston Studio, 185 1/2 Morrison St. Portland Oregon.